Contact us at the San Francisco IHSS Public Authority. Click to open/close the website accessibility panel. No appointments necessary… drop in anytime! 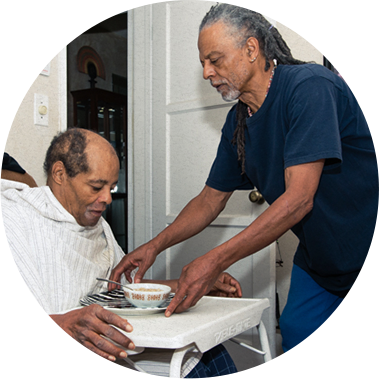 The One-Stop Resource Center is a central community space designed for both Seniors and People With Disabilities receiving In-Home Supportive Services. Stop by to have your IHSS-related questions answered, find a resource, learn more about the IHSS Public Authority Mentorship Program, or to unwind with complimentary tea/coffee and snacks. Read the description, access the schedule and sign up for IHSS related trainings and workshops. 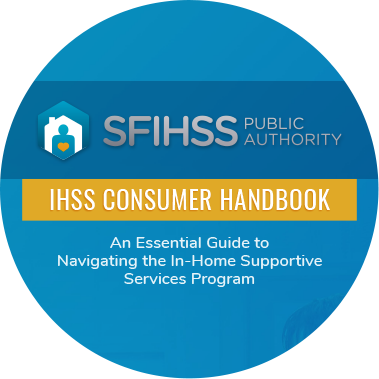 This is an essential guide to navigating the In-Home Supportive Services Program. 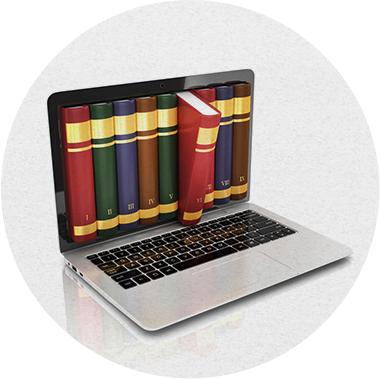 Access the online resource library to find what you need in a variety of categories. All the images and content are the property of San Francisco In-Home Supportive Services Public Authority and may not be used without permission.